Glass Slide Holder | Polysciences, Inc.
Time saving adjunct to frozen section staining, special staining, immunostaining procedures "from beginning to end." Ideal for the use during incubation, immunostaining, washing, mounting, and drying. 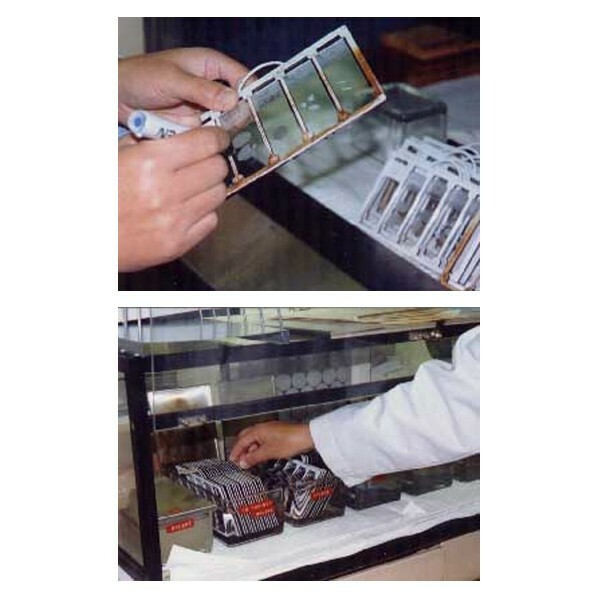 Up to 50 slides (10 holders) can be processed in one staining vessel allowing multiple slides to be handled efficiently.